After the tomboy period came the period where I was really just all over the place. I mean – I would wear running trainers as a fashion accessory type of period. This came shortly into starting secondary school – which of course is the time where your outfit choices get judged the most! I would wear the most random pieces of clothing all remixed together, from random thick running shows, bootlet jeans and woolly turtlenecks with a stitching of a cat sewn in. It was a mess. But the funny thing was – I thought I was super fashionable! Aside from two boys once pointing and laughing at my trainers (I’ll never forget…), I otherwise thought everyone was feeling my outfits. However some years down the line, people would always laugh and joke about “that time I didn’t know how to dress”, and I quickly realised that the fashionista I thought I was was grossly misinformed. I’d say some time into my teen years, I entered a period of being super trendy. I’m talking – every trend that was out there, I was on it. Heck, I was even more up to date with developments in the fashion world than I am today. McQueen skull scarfs are being warn by all the celebs? Well, let me take myself down to Primark and buy a £5 dupe. The Kardashians all own a Celine luggage tote? Well, I’m going to jump on eBay and purchase myself the £15 dupe. Wait – everyone is wearing the Celine Paris tee? Me too, once I buy it for £10 on eBay. I would save up money from a webdesign shop I ran at the time and any left over lunch money I had and splurge it on eBay and Primark exclusively. I would also imitate celebs with every outfit I wore. As in I would Google ‘Vanessa Hudgens/Kim Kardashin/Cheryl Cole style’, see what pieces I owned which could emulate these looks, and wear them out. It used to take up SO much time in my day. I would say its around this period that I really started to develop a love for style, and I definitely wouldn’t have this style blog now if it wasn’t for this transition. With this outfit, the browns in my JORD watch I knew would match so perfectly with the gold/black tones of the overall look. 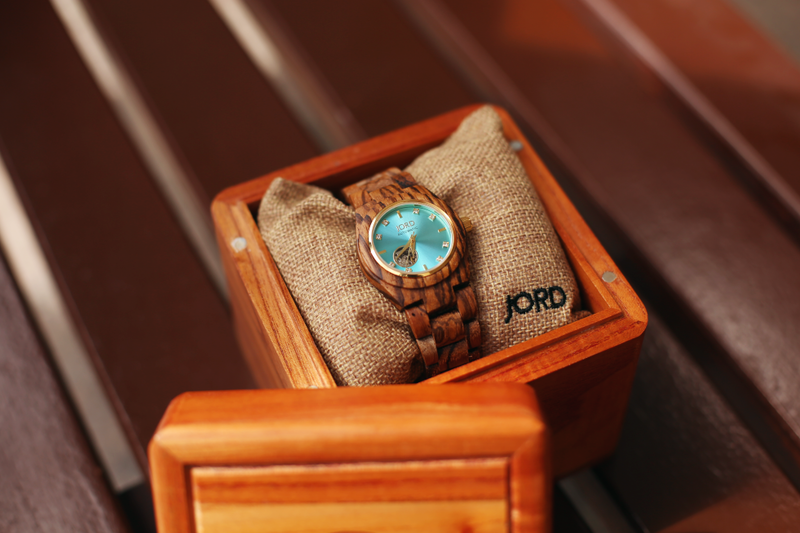 I chose to go for the CORA series zebrawood & turquoise watch purely because I was drawn by the bright turqoise face – little details like these are actually feel are what makes JORD watches unique. Plus – wooden watches are new and unique, why wouldn’t you want to be one of the firsts to board the train? This giveaway will close on August 13th at 11.59pm! 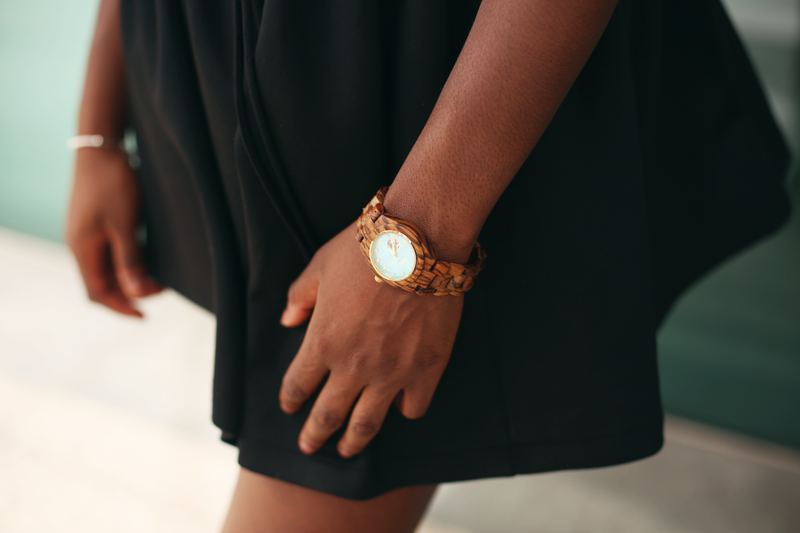 2 Responses to "My Style Evolution & A JORD Watch GIVEAWAY!" My style is currently all over the place. I love so much different stuff!